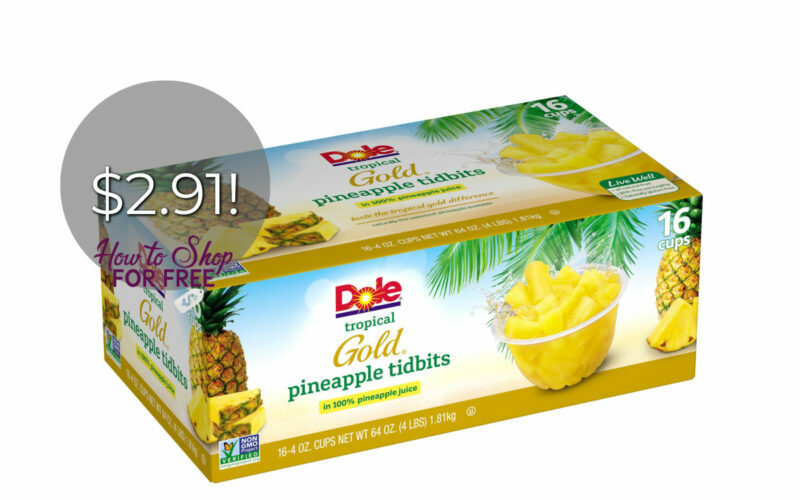 16 Pack Dole Fruit Cups Clearance! 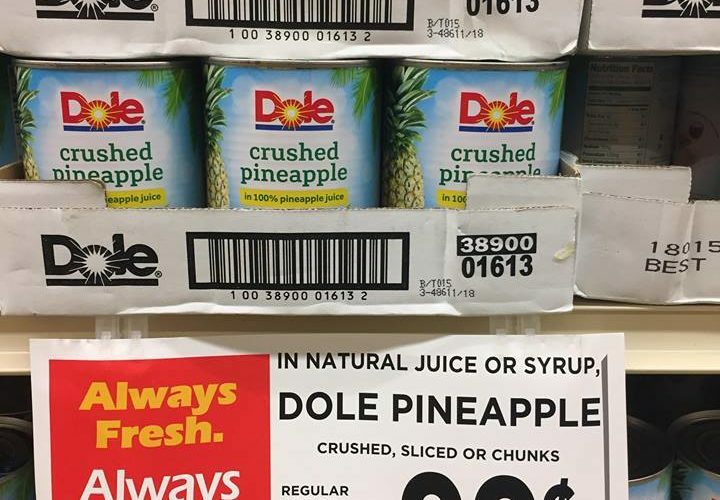 Dole Canned Pineapple as low as FREEEE! 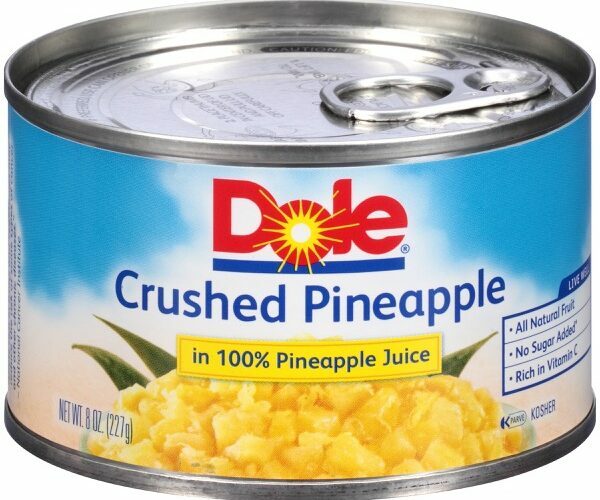 Pineapple Cans for $0.74 at Market Basket! 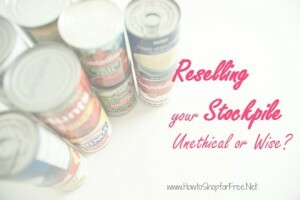 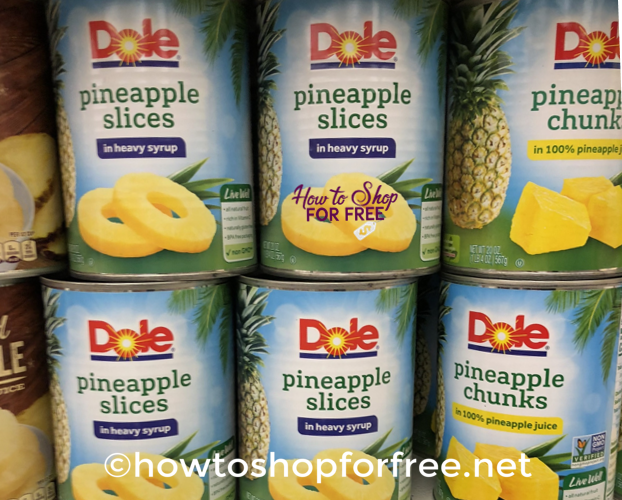 Dole Pineapple just $.24 per can! 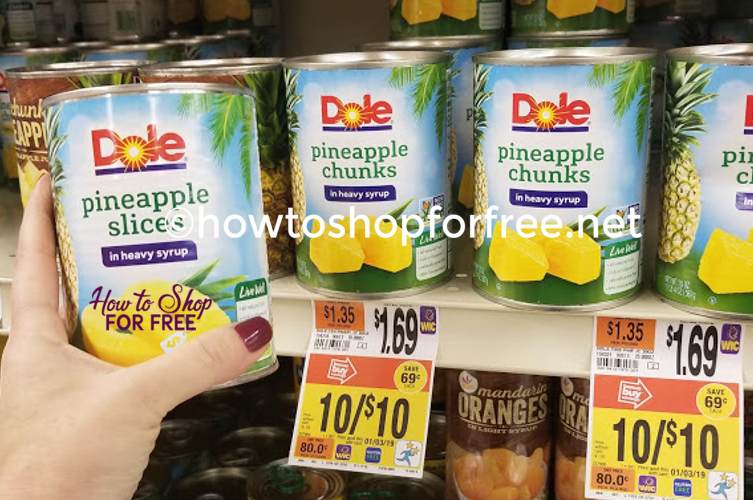 Dole Canned Pineapple only $.24 at Stop & Shop! 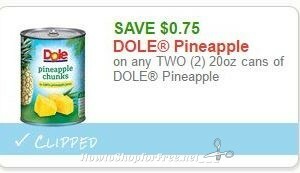 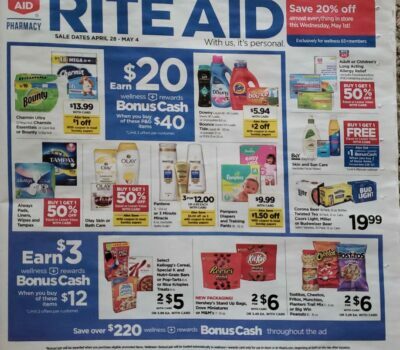 $0.75 OFF (2) cans of DOLE Pineapple ~Print Now! 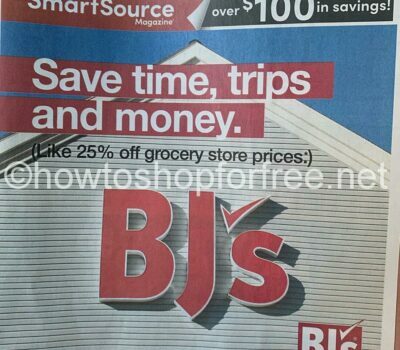 Snag 20 oz. 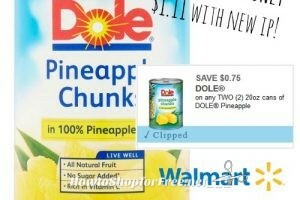 Dole Pineapple Chunks for $1.11 @ Walmart! 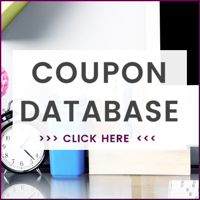 Perfect for Summer—Pineapple Corer $2.03 SHIPPED!